Guten Tag! You may recall Larissa writing some very helpful vocabulary posts (here and here) to take with you when you go grocery shopping. But what about the German words for all the other essentials we buy week in, week out? 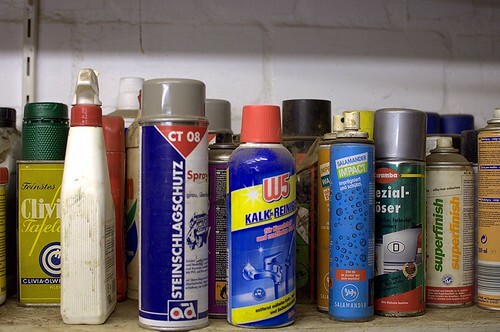 In this post we’ll go over some common Reinigungsmittel (cleaning products) and Pflegeprodukte (care products). Now let’s move on to the specifics. 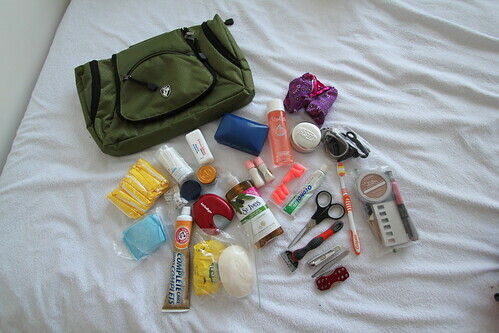 The German word for a toiletry bag is a Kulturbeutel, which literally means ‘culture purse’! You can read more about that quirky word right here. Words ending in Pflege (care) take the feminine form (die). Words ending in Reiniger (cleaner) take the masculine form (der). Words ending in Mittel (means) take the neuter form (das). The Germans have a tradition called Kehrwoche for apartment dwellers, in which residents take it in turns to clean the apartment building. They also have a great word for someone who has a bit of an obsession with cleaning! You can read about those words right here. I hope this has been useful! Next time you go to buy your toiletries & cleaning essentials in a German-speaking country, why not print out this vocabulary list as a handy guide? i find your postings very practical, useful and some times funny. I also find that your writing style used in your blog helps me to retain (anchor) new words. I wonder if you could write a post on the usage of some of the most used particles such as doch, noch, mal etc.